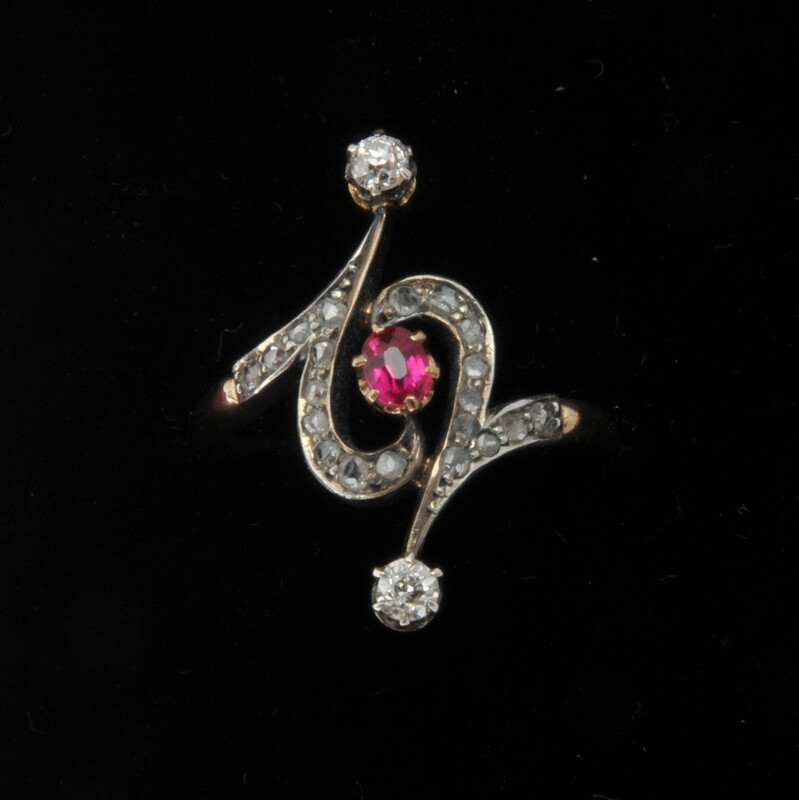 This is a particularly well designed Edwardian diamond and ruby art nouveau ring. It is clearly hallmarked but I have not been able to identify the maker or country. The ring is made of 18 carat gold with the diamonds set in silver. It is English “O” sized and could be resized. Material: Ruby, diamond, gold, silver.